Almost all of the supposedly diverse Unitarian Universalist theologies are humanist reinterpretations of pre-humanist religious movements. Indeed, the Unitarianism and Universalism of the 19th century were reinterpretations of Calvinist Protestantism in the light of the emerging humanism. The Enlightenment demolished supernaturalism, and when theology now longer described material reality, the purpose of religion turned to serving human happiness and betterment. Religion turned from being God-centered to Human-centered. In short, humanism, in its broadest sense. This broad humanism was not the same as twentieth century humanism, as summarized by the Humanist Manifesto. 20th century humanism took the path of continued theological realism: the positive statement that there was no God. But other humanists took the path of reinterpreting older religious tradition to serve human purposes. I’ve been a UU Christian for years, and I assure you that most UU Christians are humanists, reinterpreting Christian tradition to make it serve the human purposes of happiness and betterment. I am sure that there are exceptions. 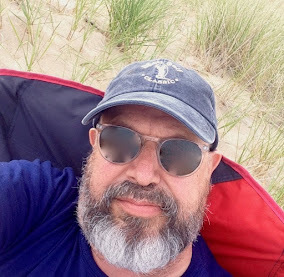 My sense of other UU theologies are that when there is a conflict between a traditional teaching and the broad humanist purposes of Unitarian Universalism, that part of the tradition is ignored, or explained away, or contradicted. This is not confined to Unitarian Universalism; this is the liberalizing trend in all religious movements. In fact, “liberalizing” or “westernizing” trends in religion are reconciling orthodoxy with the humanist definitions of reality and humanists understanding of justice: democracy, human rights and feminism, etc. We are all, broadly speaking, humanists now. Except the fundamentalists, who are not. What we experience as conflict between humanists and theists in our religious movement and in our congregations are actually narrow and petty fights over language and liturgy. We are not contesting over the TRUTH, or even the beliefs necessary to an ethical life and justice, but over pragmatic issues about membership growth and membership retention: marketing. It all makes us small, not in numbers, but in purpose and concerns. Humanists now blame the stall in UU growth at our apostasy in turning away from Humanist Manifesto style Humanism. Christians and theists argue that were we more theistic, we will be more relevant to the unchurched, most of whom still believe in God. UU Buddhists point to the growth of Western Buddhism which often lacks a structured community. Let's call these arguments what they are: marketing strategies. Underneath it all, we are all humanists. Is humanism the broad concern behind Unitarian Universalism's internal cacophony? Yes, as Jesus taught, concern for self, other, and God are all inexorably intertwined, and as humans, our vantage point will always be primarily human whether we are engaging our neighbors or God. So why all the differing voices? We live in a time of increasing awareness of the complexity of the human experience and as a community, and we must comprehend the complexity with a corresponding level of religious sophistication. We do not possess this complexity, so individuals and sub-groups take up pieces of the larger whole, and advocate on behalf of their particular point of view. In the face of this complexity, is the Unitarian Universalist response a modern day Babel, or are we engaged in a vigorous conversation that will eventually bring us to a higher theological synthesis? I think we are more Babel, especially at the continental level, but into this modernist soup, divine lightning may strike again, and a new spiritual life will emerge. My hope lies here. Humanism is also in front of our noisy band. As we stretch to comprehend the fuller complexity of our relationship with neighbor/creation and God, we are also called by God and neighbor to comprehend the self's complexity. This level of sophistication has been achieved in the past by those we deem saints and doctors of the church, but in these days of emergence, the veneration of historic figure figures is no longer sufficient. The ideologies encapsulating their findings can no longer define the structure of our relationships. Individually and collectively, we must follow their practices and master the capacity to hold our internal complexity as we embrace complexity's external manifestations. In this way we grow closer to God, who fully grasps and participates in the complexity. The Humanism of the Manifestos grows increasingly irrelevant in the wider conversation because it assumes the integrity of the human individual. More specifically, it assumes that reason is the tool par excellence in discerning and ordering the world. This expression of humanism fails to account for internal human complexity and thus over-simplifies the global and cosmic reality. Similarly, Fundamentalism grossly undervalues the complexity of God, community and self. I count Fundamentalism among the broad expressions of humanism. It is deeply concerned with humanity's relationship with God, terrified actually. Where Fundamentalism emphasizes the power of fear, Manifesto Humanism denies it. The new Atheists seem to have substituted anger for fear as a means to suppress the pain of complexity, and thus gain public attention like the fundamentalists while simultaneously alienating the wider community, but they have no greater success at addressing the salient needs of a world radically in flux. I identify as a Religious Naturalist. My personal theology holds a Humanist outlook with a reverence for nature and a respect for all living things. I also honor the teachings of the great prophets where they are relevant to my life. My religion is constantly evolving. Prior to discovering UU, my only options appeared to be a total rejection of religion or an insincere, hypocritical acceptance of the supernatural. I am grateful to have this UU framework which allows me the freedom to explore and develop my own ideas and search for meaning in my life. I think you make some good points indeed. We often use different language to describe the same reality, and argue over these subjective preferences. Most UUs, according to surveys and studies, do not believe in the supernatural or in a "two-tiered" reality. The development of postmodern theology in the last century allowed religious language, and especially the word "God" to be redefined as symbolic and metaphorical for "that which is our ultimate concern" etc. I am sympathetic to this. But I think there's a larger problem, Tom, which is that very many people do not understand postmodern theology. They don't understand that someone who is referring to God or the divine is not necessarily making authoritarian claims about the nature of reality. Literalism has come to dominate our world, and I fear this may be irreversible, for better or worse. I have come to believe that the problem with UU ministers using God language is that they understand the word to mean something radically different than what most people understand it to mean. I agree that language is sometimes just language - but language also has consequences because it can communicate unintended meaning along with its intended meaning. The "everyone creates their own reality" approach of postmodern theology, recently criticized by Michael Werner and Roy Speckhardt, has often been touted as the strength of Unitarian Universalism. Looking back at where this movement has been and where it is going, there are good reasons to believe that this is not the case. 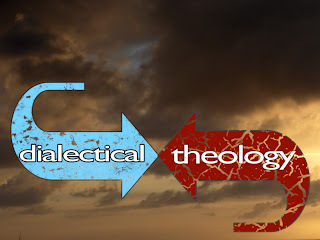 I have not been persuaded by the argument that I have heard Humanists make lately -- that since some (meaning they) don't understand "post-modern theology" then all God-talk will be taken literally, and therefore is misleading and confusing. Post-modernism is not a choice; it is the reality in which we will live. Everybody understands that when a "revolutionary, new mobile phone" comes out that it does not actually have an app that works to overthrow the state. The rest of your argument is precisely what I am trying to describe and question. Basically, it is an argument about marketing and presentation. If we were steadfastly humanist like some of us used to be, then our growth would not have stalled. We would be more successful if our ministers had not unfortunately started to think differently than before. But they did. Thanks for your response, Tom. I would be very interested in how you characterize your personal beliefs as a UU Christian. How would you describe them to a humanist who is especially sensitive to god language and supernatural beliefs? As a first time reader of your blog, I apologize if you have extensively detailed those ideas in the past. I'm especially interested because this piece was posted on the HUUMANISTS Facebook page, where the reaction seemed to be of deep confusion. Ralph1: for a detailed exposition of my own intellectual journey, search on this blog for the phrase "Reimagining Unitarian Universalism". In the spring of this year, I wrote a multi-part series that describes where I am at and how I got here. I am delighted to hear that I have caused confusion among the huumanists. I have been confusing the Christians as well. It's time somebody messed up the categories. Ahh! Now I understand the laughter at the VUU yesterday when I shared that I believe that the vast majority of UUs have a humanist ethic! Wonderful! But I think having a humanist ethic is different than being a humanist. At least traditionally. By a humanist ethic, I mean that most of us believe that how we act/behave/live in this life matters now. Period. The rest of where we find ourselves theologically is secondary to this. I suppose in some ways it is sort of the appeal of existentialism vs nihilism. But I have a sermon to go write so can't think that about that right now...Love your blog, btw, and wish I had found it a while ago because now I have to back and catch up!! !